Q. How has Benedict shown his passion for the liturgy—even before he became pope? A. The major part of Pope Benedict’s ministerial life has always been centered around the liturgy. He enjoys a broad perspective, for he had experienced the Second Vatican Council as peritus and has seen all of the liturgical developments up until today. In his overall theological reflection he always integrates the role and function of liturgy into his thought. He manifests a consistent attitude on liturgy and it is obviously an integral moment in his theology. In an effort to have liturgy be a true source of unity he has tried to address some of the things which may have driven people apart. He is tireless in trying to bring about reconciliation even when sometimes it is not totally successful. Q. How has the Pope sought to bring Catholics into a deeper understanding of the liturgy? A. Benedict is always sensitive in his homilies to the liturgical context of the prayers. His own celebrations of the Eucharist project a sense of peace and power that comes from an appreciation of the depth of resources of the liturgy. Even while he is aware of the many challenges facing the liturgy today, his example helps the entire Church to move forward. Q. What did Pope Benedict mean when he described himself as “liturgist of Jesus Christ for the nations”? A. This striking expression is from Paul, in chapter 15 of the Letter to the Romans. And the pope has made it his own. He has identified his mission as successor of the Apostles precisely in being the celebrant of a “cosmic liturgy.” Because “when the world in all its parts has become a liturgy of God, when, in it reality, it has become adoration, then it will have reached its goal and will be safe and sound.” The pope has a sense of his being able to summon the nations of the world to an experience that transcends language, culture and nationality. This special mystical unity is actually in preparation of the return of Christ when he will offer all to the glory of the Father. Msgr. 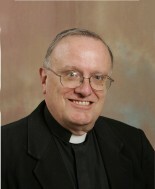 Anthony Sherman is director of the USCCB’s Secretariat of Divine Worship.